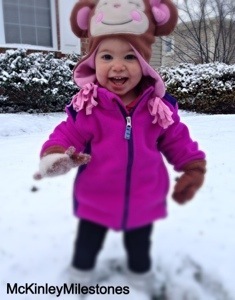 McKinley enjoyed Ohio’s first snowfall of the season. 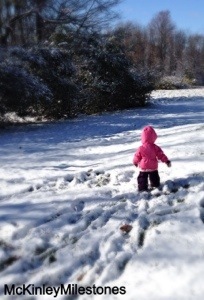 I enjoyed the first snowfall as well. Quiet still nights settle in. Snow angels! Brilliant. Hope we get some snow here. Me too! 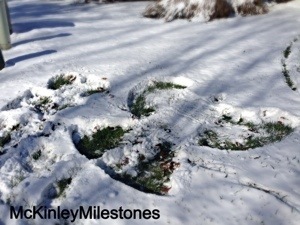 Gosh I think the last time Made a snow angel I was probably in the 5th grade. It’s good to feel young again! Wow! Already the first snow. Can’t wait to get some over here. McKinley looks like she had a blast. I cant wait to see pics of little dude in the snow!! !